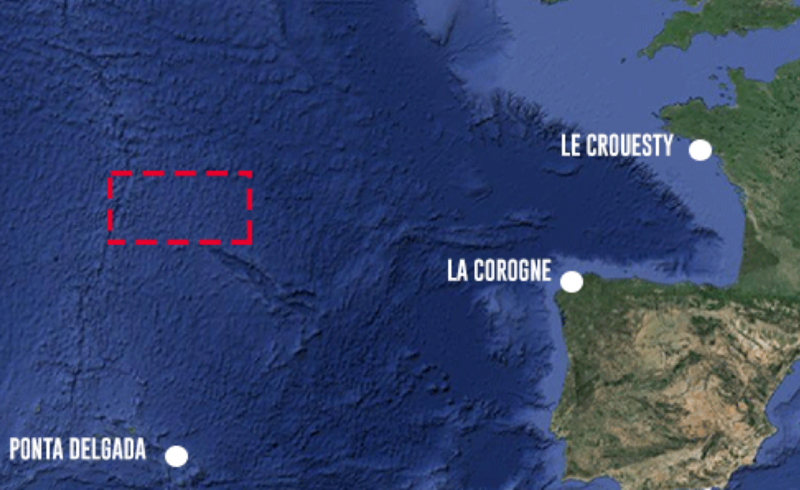 Keep your eyes peeled if you’re enjoying the balmy winter with a December crossing of the Atlantic, because you might just run into the world’s biggest Christmas present: The defending champion Vendee Globe and Route Du Rhum-winning Open 60 SMA, adrift about 700 NM off Cape Finisterre! 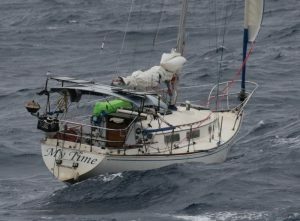 With solo skipper Paul Meilhat’s fractured ribs and pelvis forcing him into a helicopter, SMA crew launched two rescue attempts to retrieve the multi-million-dollar pedigreed purebred; an especially nasty December in Biscay laughed at them and sent them crying for home. 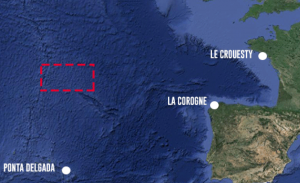 A third team of four insane Frenchmen (and quite possibly Marcus Hutchinson) has now set off from Brittany to try to succeed where a 66-meter oceangoing tug failed. If that sounds like impossible odds to you, it just means you don’t know any Bretons. Seb Josse won the carnage-filled St. Barth-Port La Foret (which most skippers have told us they hate), scoring the first real offshore success for a Dali foiler. Head over here for Seb’s video (with translation from SA’er ‘surlepont’).